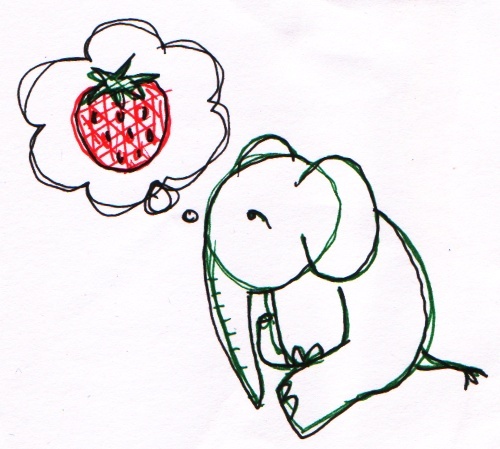 An elephant dreaming of strawberries. I hope you put this back up. I miss seeing it when I sit down to work.